HOURS: Spa & Fitness Center: 6am to 7pm daily, Salon: 9am to 7pm daily. Get pampered from head to toe at the award-winning Spa at Green Valley Ranch, voted the best spa in Las Vegas by the Las Vegas Review-Journal and honored by Spa Finder Magazine. We’re located in a stunningly serene facility on beautifully landscaped grounds, but the real treats are found inside. View our Spa Menu to choose from a vast variety of spa treatments designed to nourish your mind, body and spirit. Las Vegas vacations sure can be exciting, but when you’re ready for relaxation and rejuvenation, our day spa provides the perfect retreat. Explore our menu to find all of your favorite massages, facials, wraps, body treatments and beauty treatments, as well as some unique experiences only offered at GVR. Whether you're looking for an individual experience, or a romantic couple's package, we're ready to accommodate any request. Our full service salon has all you need to look great on your big night out. Whether you're looking for a new hairstyle, a pedicure or simply some makeup – the staff at The Salon are ready to help. 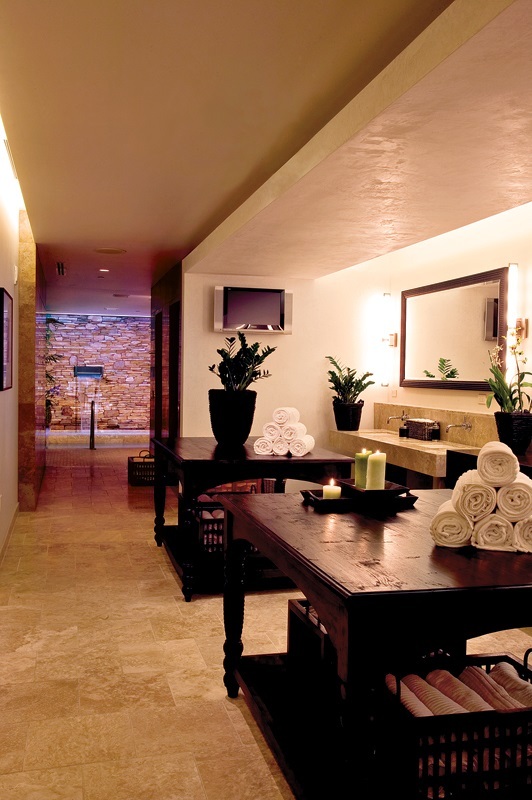 GVR’s master massage therapists are renowned for having the most soothing hands out of all the spas in Las Vegas. They have perfected their technique, and have just the right touch for promoting circulation, boosting the immune system and relieving stress and tension. Popular massages include our Swedish and Deep Tissue massages, but all of our massage treatments are excellent, and worthy of your consideration. For the ultimate in total body rejuvenation, combine a massage therapy session with a facial and body wrap. At first you'll feel relaxed and tranquil, but afterwards, as you enjoy your day, your energy levels will increase and you'll feel the full body glow of contentment. Turn back the clock and rejuvenate your look with one of our 12 exquisite facial treatments. Perfect for both men and women, our facials will leave your skin feeling refreshed and glowing. Guys if you've never tried a facial before, you're sure to love our treatment specially designed for you! Our Gentlemen's Facial cleanses and freshens your skin in a relaxing and tranquil environment. We offer some of the most exotic body treatments in Las Vegas. Come in and indulge yourself with a Green Tea Wrap, which is rich in antioxidants and helps detoxify your skin. Or try the Orange Oasis, renowned for smoothing skin by eliminating dry and damaged skin. Both treatments are designed to make you feel fantastic and look fabulous all while nourishing the mind, body and soul. Can't decide on one particular treatment? Our Las Vegas spa packages let you combine a variety of relaxing options to meet your personal needs. We offer spa resort packages for individuals, couples or groups, with special pricing for larger groups. Check out our Las Vegas spa deals for locals as well, which include significant discounts and deals for those with local ID. Our state-of-the-art Fitness Center has all you need to stay in shape during your stay, featuring all the latest equipment, free weights and group classes. Come on in and pump some iron. The spa now also offers personal training, weight training, speed training and agility training upon request. Call for details. Taking advantage of these discounts means that instead of one treatment, perhaps you can afford two. Or add on that upgrade you've been meaning to try! Our resort can get quite busy, so make your reservation today. *Must present a valid Nevada state driver's license. Not valid on packages. Are you a Massage Therapist, Aesthetician, Nail Technician or Stylist? You may be just who we're looking for at The Spa at Green Valley Ranch. Apply today using the link below, or email us at careers@gvrspa.com.